OPPO is set to showcase its latest camera technology at the Mobile World Congress (MWC) 2019. The company made the announcement during the 2019 Future Technology Communication Conference, where it unveiled its upcoming 10x lossless zoom technology. OPPO also said that its next-gen camera tech already meets commercial standards and is ready for mass production. The smartphone brand employs a triple camera solution for the new technology. The setup consists of the Ultra Wide Angle sensor with 15.9mm focal range, the primary Ultra Clear Master camera, and Telephoto unit with 159mm focal range. All three cameras work together to achieve the 10x zoom. Moreover, OPPO improves both the standard and telephoto cameras with the addition of dual OIS (optical image stabilization). 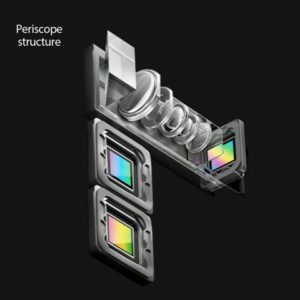 Aside from the triple camera setup, the tech brand’s “periscope structure” also helps in achieving the 10x lossless zoom . The periscope-inspired design maximizes the width and thickness of the phone through the lateral arrangement and refraction of the lens set. This allows the device to have a thin and light body, while carrying a larger optical unit. To ensure the reliability of camera module, OPPO tested the components using the industry benchmark-level drop tests. Among them are two rounds of drop tests for the prism part. Each round consists of 10,000 times drop on the front and back, and 2,000 times on the remaining four-sides. 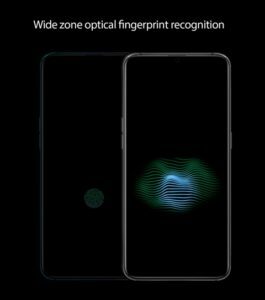 OPPO also announced a new wide zone optical fingerprint recognition technology. The on-screen sensor can recognize a fingerprint within an area up to 15 times of the current mainstream optical solution. Additional functions include two-finger simultaneous entry and authentication. It also incorporates the “Optical Encryption” feature, which activates, authenticates, and unlocks all applications within encryption area with just one click.